EarthEcho International has unveiled a collection of free curriculum resources, EarthEcho Expedition: Water by Design, that aims to bring STEM experiences from the real world into the classroom. The resources are built on a program from EarthEcho and sponsored by Northrop Grumman, also called EarthEcho Expedition: Water by Design, that brought 26 middle school teachers to Southern California last October to learn about water scarcity before helping to design and vet the new materials. The company's expeditions program is a yearly event "that leverages the rich Cousteau legacy of exploration and discovery to bring STEM education to 21st century learners and their educators," according to a news release. Educators who participate are dubbed "EarthEcho Expedition Fellows" and work with the organization's team to "use their first-hand experiences to develop engaging and relatable classroom-based education materials to support high-quality environmental STEM programming in schools and communities anywhere in the world," according to information released by EarthEcho. "Throughout expedition and after, the fellows are active in the process of developing, field-testing and promoting materials for each new EarthEcho Expeditions module online." Youth in action videos show how young activists work for positive change related to water conservation. 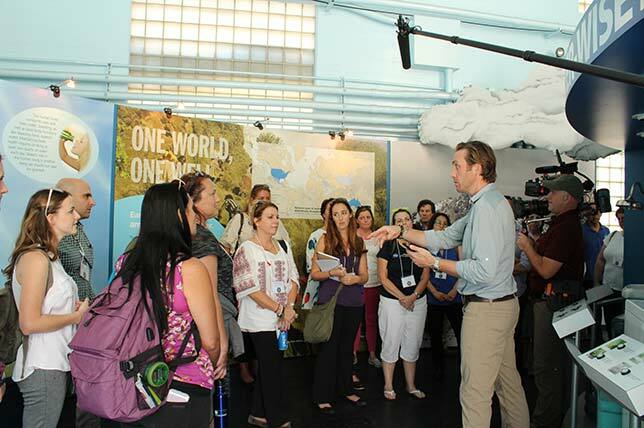 "EarthEcho Expeditions provides teachers and students around the world with access to classroom resources that open the door to amazing science and engineering and the women and men who are making a positive difference in our world each and every day," said Philippe Cousteau, Jr., founder of EarthEcho International, in a prepared statement. "At EarthEcho, we believe every classroom should have access to materials and tools that engage, inspire, and support new generations of problem solvers and leaders in STEM disciplines."